Year-round, VA empowers communities to take action to support our nation's Veterans. 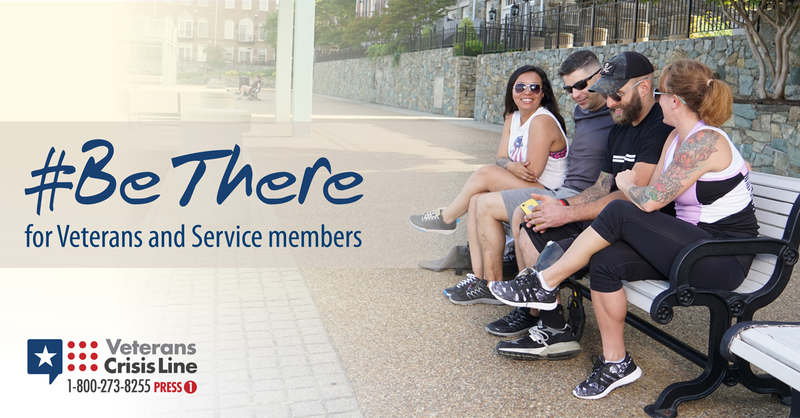 Each community across the country plays a role in supporting Veterans, but as an individual you may not know what to do or where to start. You don't need to have special training to support the Veterans in your life, and we can all do something to help a Veteran who is going through a difficult time. Even seemingly small actions can have a huge impact: preventing suicide begins with just the willingness to Be There. Showing your support can be as simple as sending a Veteran a text message - inviting someone over to catch up or sharing a positive thought are both great ways to communicate that you care. Keep in mind: asking questions about thoughts of suicide does not increase a person's suicide risk. Instead, an open conversation can help someone feel less alone and let others into the Veteran's experience - and feeling connected is shown to reduce suicide risk. Validate the Veteran's experience. Even if you can't relate to what a Veteran is experiencing, you can tell them you understand that they went through something difficult and show that you respect their feelings about it. Don't be afraid to ask the question. When you are concerned about suicide risk, it's OK to ask people if they have ever thought about hurting themselves or take action to prepare for suicide. The answers can help you consider next steps to take.